Damascus, 2010. Noura and Bassel meet as the dictator Bashar al-Assad has gone beyond the pale of reason in his suppression of dissidents and pursuit of war against his own people. Noura is a human rights lawyer, fighting for political prisoners imprisoned by the regime without criminal charges or trial – an almost impossible task. Bassel is an internationally acknowledged IT pioneer who has devoted his life to the liberating power of the internet – while increasingly aware of how the regime uses the internet to suppress and persecute its enemies. The result of this surveillance, more often than not, has become deadly. They find one another in the common struggle for a democratic Syria. They find love in the midst of external circumstances which ought to make it impossible. Help comes from an unexpected source. 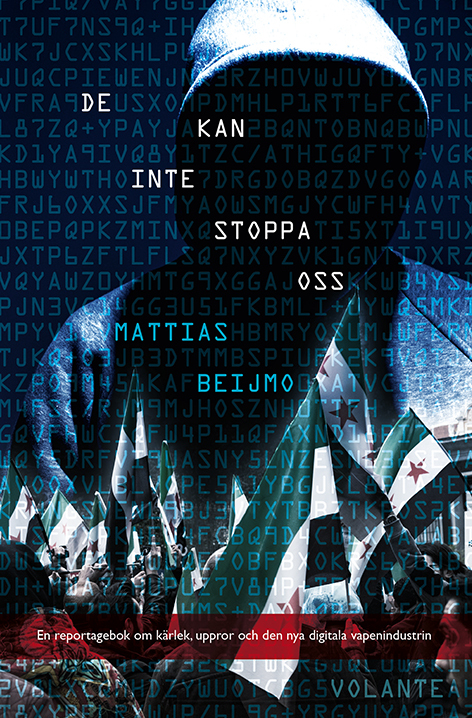 ‘They Can’t Stop Us’ tells the story of the young hacker community trying to protect them from the digital assault of the Assad regime. There are also less than edifying portrayals of unscrupulous western companies exploiting the war in Syria for their own purposes. ‘They Can’t Stop Us’ is a book on what might be described as a new Western arms export industry, in which billions are at stake, and Syria the perfect testing ground for products being launched in the global market. Writer Mattias Beijmo tells the true story of two people whose fates throw light on the surveillance that we take for granted on a daily basis without really understanding it. Backed up by thorough research and extensive interviews, he tells a story which in every instance proves that fact surpasses fiction. ‘They Can’t Stop Us’ is as gripping as it is enlightening, a book for all who can see a little camera watching them as they look up from the monitor, while reading this text. It is a shattering, informative and revealing book that tells us about a new, lucrative weapons export from Western countries to the regim in Syria. And about the Internet as a double-edged sword – a way to enhance democracy or the perfect tool for dictatorships to monitor its inhabitants. Mattias Beijmo approaches the investigative journalism from a somewhat uncommon direction. 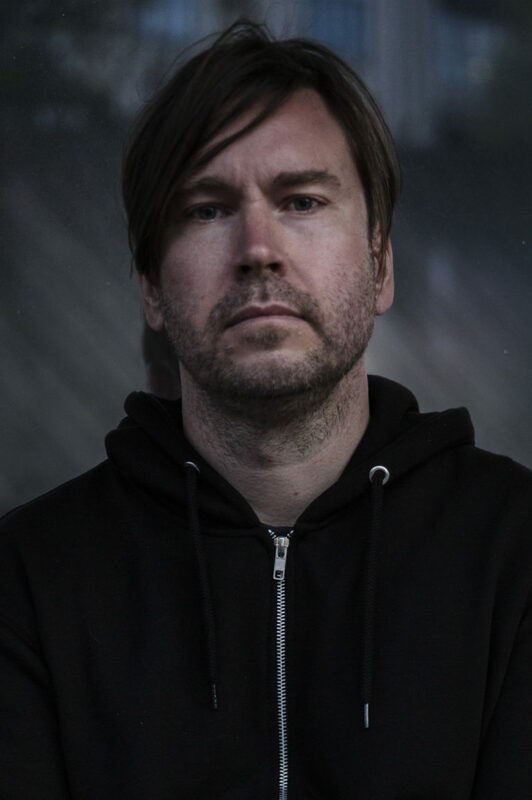 He is a digital analyst and strategist and has worked for organizations both in Sweden and abroad and the type of surveillance technology described in the book is well known to him. This makes him see patterns that could be easily missed. He has first-hand knowledge of how the devastating the consequences can be if this technology ends up in the wrong hands.